Rent a holiday cottage with a swimming pool in the Heart of England, in the middle of England. The Heart of England refers to a central swathe of English counties that include Herefordshire, Worcestershire, Shropshire, Ironbridge, Staffordshire, Warwickshire, the cities of Birmingham and Coventry and the Black Country. There is a certain charm about the Heart of England conjured up by its heritage and landscapes. This area of England covers a large portion of rural England, proper farming country in Herefordshire, Worcestershire and Shropshire. This is the part of England to choose for those secluded country cottages hidden in the depths of the countryside. Amongst them are real gems, beautiful country holiday homes with that all important swimming pool or perhaps an outdoor hot tub. One of the luxuries of a private swimming pool unique to one cottage is that guests have total freedom over when they swim. Sometimes it is exciting to do something never experienced previously such as swim under the stars. It is opportunities such as this that add so much to any family holiday. Pile the pool toys high and create a fantastic playtime for the children with all kinds of inflatable toys that might be banned in other communal pools. The county that gave us cider and Worcester sauce is a good place to book a cottage break with a pool. Some of the hop fields that raised hops for the brewing industry still remain; it is interesting to see the light green vines growing tall up rows of wires. There is plenty if scrumpy tasting awaiting holidaymakers . There are amazing English Heritage properties to visit in Worcestershire; the ruins of Witley Court and gardens are impressive. The area boasts numerous visitor attractions such as the West Midlands Safari Park and plenty of outdoor activities to keep holidaymakers entertained and happy. The southern reaches of Worcestershire extend into the Cotswold hills – another fine location for cottage holidays in the country. The River Avon wends its way past Strensham, Pershore and Evesham – historic towns that would delight any visitor and on across the county border to Bidford-on-Avon and Stratford-upon-Avon in Warwickshire. 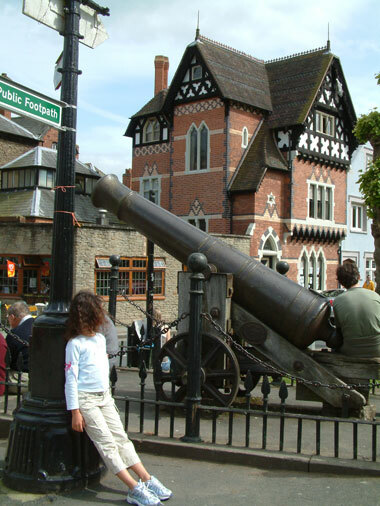 Warwickshire is mainly known for its connections with William Shakespeare and indeed many tourists come to investigate through town trails and tours. How nice would it be to view a Shakespearean play, cruise the Avon and visit Anne Hathaway’s Cottage before returning back to a comfortable holiday home and going for a swim?